To say that the US was woefully unprepared for a major European war when war did break out in 1939 is a bit of an understatement. Though not so badly off as before WWII, the United States was 'lucky' in that it had several years to catch up before it entered hostilities. Not only was it not ready for war, but the equipment it was using was either inadequate, or non-existent. In one area this was especially true for anti-tank guns. I should be somewhat fair about this. Prior to WWII, it was quite possible to penetrate tank armor with heavy machine guns, such as the .50 Cal that the US Army had available to it. So there really was felt to be no concern to get a decent gun into production. It was US observers in the Spanish Civil War that saw how effective the German 37mm Pak 36 gun was against Spanish tanks and so it was decided to develop such a gun in the US. 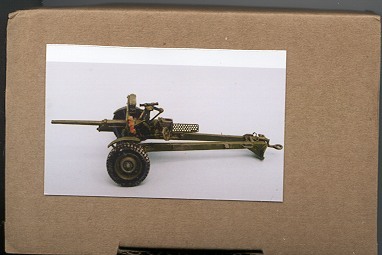 Not surprisingly, the resultant gun was based on a Pak 36 that the US bought for evaluation in 1937. A development order was given and the result was the T3 Gun on the T1 Gun Carriage. 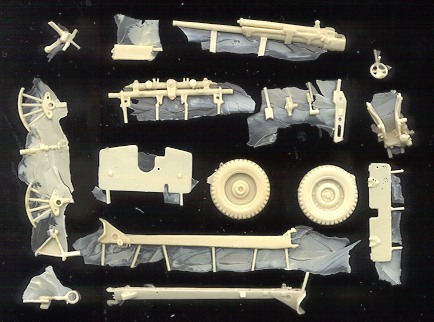 1938 trials showed many deficiencies and so several alternative designs were provided, the T10 Gun and T5 Carriage being approved for production as the 37mm M3 Gun and M4 Carriage. The gun was built and issued to units. When the US entered the war in 1941/42, 37mm was no longer sufficient to penetrate the thicker armor of German tanks. While the Allies had moved forward with larger guns, the US had no such motivation and entered the war with an obsolescent gun. This was proven during US operations in Tunisia during 1942/43 where 37mm shells were unable to penetrate Panzer III and IV armor unless the ranges were very short. Few crews stuck around their guns at such ranges. Though outclassed as an anti-tank gun, its light weight was perfect for some campaigns in the Italian mountains where it could be grunted around by its crew. In the Pacific, it was very effective as both an anti-tank and general support gun. Here the Japanese never did produce a well armored (or effective) tank so the 37mm was used right up to the end of the Pacific War. It was very effective against hardened points such as pill boxes and other defenses when using high explosive or canister ammunition. By the end of the war, towed anti-tank guns were a thing of the past as the much more maneuverable GMC M10, M36 and M18s were much preferred. Not really a whole lot to say about this kit. It comes in a sturdy box with a photo of the completed kit on it. A paper band surrounds it with the kit number and what is in the box. When you open it, you are faced with a small bag of resin and a small etched fret with a single sheet of paper for instructions. You wonder what could make this worth nearly $40. Well, the resin is really well done. Though it looks like hell with the pour stubs and the flash, once the parts are inspected, pretty good moldings are discovered. They are not perfect. For one thing, the moldings are a bit on the soft side. I mean that the corners are not crisp, but a bit rounded. I also found a bevy of air bubbles in the apron. Not impossible to fix as this is a pretty flat piece and can probably be cut off and replaced with plastic card. The kit also includes a small etched fret. These are for some of the various hooks and angles and a shoulder guard. There is no shoulder guard guide as apparently the subject gun used for this kit was missing this piece. The instructions are a single sheet of A4 paper with photos on both sides. No drawings are given as to what part goes where. Instead, the modeler has to use other references as to just where the resin bits go. Fortunately, it is a simple kit. 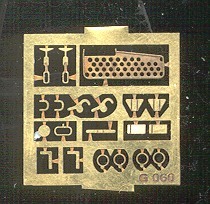 What is shown are the locations of the various etched bits. I found the photos to be very dark and difficult to see. No decals are provided, though it is pretty obvious from the photos that there should be some. No painting guide is offered aside from the small box top photo. It seems to me that this kit assumes two things. One is that you know something about the subject before building as you sure aren't going to get any real help from the instructions. Second is that you are a standard armor modeling fanatic who thinks nothing of spending $150 on aftermarket stuff for a kit so spending $40 on a small resin gun is 'normal'. Perhaps the folks at CGM are right. However, I'm not an armor fanatic so would like CGM to make a couple of improvements. One is to have a decent set of instructions. Nothing fancy, but an exploded drawing of the components would go a long way for someone who is not immersed in towed artillery. The second would be a decal sheet. Oh yes, I should mention that the reference has the lunette attached 180 out from the images given with the kit. Not sure which is correct, and they may both be.